An evening performance at Liverpool's Cavern Club. Also on the bill were Pete Hartigan's Jazzmen, The Dennisons, The Merseybeats and The Swinging Blue Jeans. This was The Beatles' 272nd appearance at the Cavern, and their 120th evening performance. 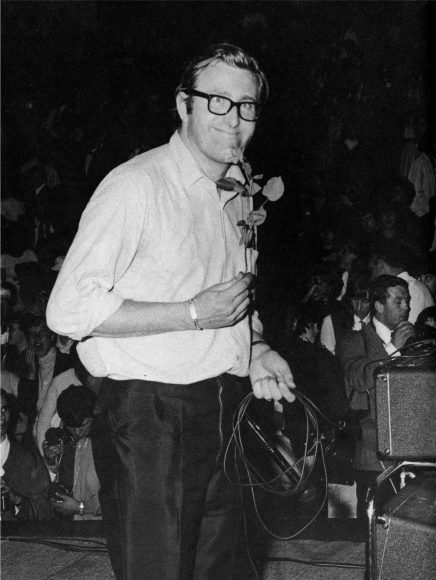 The Beatles' road manager Neil Aspinall was still suffering from a bout of flu, although he carried out his roadie duties despite feeling feverish. However, he explained to Brian Epstein that he would be unable to drive the group to their engagement in London the following day. Epstein bumped into Mal Evans, the Cavern's doorman, on the stairs of the venue, and asked him if he would drive The Beatles to London. Evans agreed, marking the beginning of a partnership that would continue until The Beatles' last days together. One time Neil was sick and we needed someone to drive us to London, so we asked Mal. He was a nice bloke, and by this time we'd been chatting with him a lot. He had to take a couple of days off work to do it. Then as we were expanding with all the gigs we realised we had to get someone else to drive the van and leave Neil to look after us and our suits and all of that. It was a unanimous thought. So Mal left his job and came to work for us.